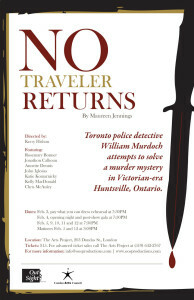 No Traveler Returns is set in an inn near Huntsville, Ontario in 1895. It is a crime drama that embroils detective William Murdoch in a chilling case off his normal beat. 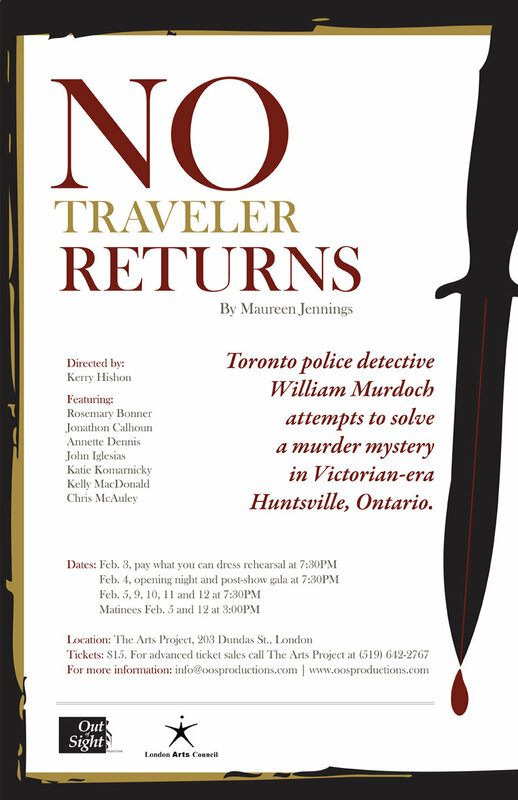 Tickets: $15; available at The ARTS Project box office, 519-642-2767. Playwright Maureen Jennings will be doing a pre-show talk at 1pm before the February 5 matinee.